The Internet of things (IoT) has continued to become more common in everyday life. With more connected devices brought to market every day, it’s more important than ever to ensure their security, functionality, and interoperability. Whether developing new IoT-products or incorporating the technology into existing devices, there are considerations to make. Cyber security: The expansion of the IoT landscape has paved the way for products to collect more information than ever and to share data across systems. Protecting a connected device or system requires an understanding of the risks and impact of a cyber attack, knowledge of vulnerabilities and the creation of measures to limit exposure. A vulnerability assessment provides a necessary understanding of potential risks as well as ways to minimize them without compromising design. Vulnerability assessments also serve as guides for implementing appropriate measures to safeguard products. Functionality: Functionality is often a trade-off for security, making it important to balance the two. Having a product that is secure but not usable can be as problematic as a product that is less secure but user-friendly. One of the best ways to balance the two is to have security and data protection in place when a product is set up. This will help avoid forcing users to validate on each interaction the product has. Interoperability: Many IoT products operate under the same protocol, but use different versions, causing interoperability issues when they’re brought into a shared environment. Most manufacturers can’t test every potential integration point, so it’s important to have a third party conduct tests for interoperability. Physical access is also important. In many cases, simply being on a network can provide entry, putting all data sent over the network at risk. Shoring up vulnerabilities and thinking through exposure from other products is critical to ensure data is protected. As the IoT landscape continues to expand and more connected devices emerge, properly preparing and testing during the design phase is important for the success of IoT-enabled products. Taking these steps and understanding the relationship between cyber security, functionality, and interoperability will help develop products that provide a secure, user-friendly experience. For more insights into IoT product designs, download our free white paper. 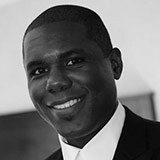 Delmar Howard is a program manager, focusing on test process development, and security assurance in both enterprise and consumer software. He has been directly involved in the design and implementation of several testing programs for smart products. With more than 10 years of experience in IT testing, he has been instrumental in the development and management of Intertek’s industry test assurance service, as well as the company’s developer-focused management portal.